This was originally posted December 30, 2007, but I recently re-read the book and, even with all its faults, I still like this book. I wrote an extensive review on Amazon and I’m doing a cut and paste right here before the original blog content. I RECOMMEND THIS BOOK!! The third and revised printing of David Rehak’s 270 page softcover book, Did Lizzie Borden Axe for It?, contains a never before seen note written in Lizzie’s hand shortly after the sinking of the Titanic. That alone makes it a collectible as far as I’m concerned. This is a different kind of Lizzie book. Traditionally, the Lizzie books have a sequential, narrative progression, spilling forth the saga of the murders of Andrew and Abby Borden against the backdrop of Fall River, Massachusetts and peppered with some new (and often outrageous) theories of “who dunnit.” Not this book. No long, flowing narratives here. No in-depth research filling chapter after chapter. Instead Dave takes us on a thoroughly enjoyable Mr. Toad’s wild ride weaving in and out, up and down, over and around and back again, giving us punches of “in your face” data to quickly absorb, question, and quickly move on. In the Introduction he says he deals with the facts “as we know them”. Well, not entirely. For example, an early error is in the constricted Timeline that has John Morse visiting his niece and nephew, “the Emerys” on Weybosset street. Nonetheless, with almost bullet-point speed he whisks us through “Lizzie didn’t do it”, then rebounds with “Lizzie did it” having laid out the basics and offers conclusions – not opinionated but taken from reportings of the day. Then we are off and flying again into the skies of “whys”. Why was Lizzie thought to be a lesbian – featuring Nance O’Neil; why does Lizzie linger; why was Lizzie a romantic being, and so on. Along the read-ride we bump into Lizzie’s alledged boyfriend (David Anthony), the alleged illegitimate son of Andrew (William S. Borden), her disloyal friend (Alice Russell), her loyal supporter (Mary Livermore). If television’s TMZ and “Access Hollywood” were turned into a book on Lizzie, this would be it. Fast flashes that move from one salacious tidbit to another, the reader learns something new, re-processes something already known, and finds points to question and challenge – depending upon the level of expertise of the reader. While Mr. Rehak asserts he makes no claim as to her guilt or innocence, it is clear he has a real affection for the inscrutable Miss Borden and sways from an unbiased hand more than once. For this we can forgive him. Most authors attempting to maintain neutrality often write with a slight transparency allowing the reader to draw the correct conclusion. There are two things that have never been published in any book on the Borden case before and they appear in this book only. One is revealed to the public in printed form for the first time. First, this portrait of Andrew J. Borden as a young man – perhaps taken at the time he married Sarah Morse Borden. Neither this image or similar image has appeared in a book up to this time. Second, and more importantly, something “new” in Lizzie’s own hand: a note she wrote not long after the sinking of the Titantic wanting the initial “B” placed on toiletry items for her matching case. It gives us insight into Lizzie’s own vanity, her keen eye for quality, and maybe even tells us how much that “B” as in B O R D E N meant to her. I would recommend to any Bordenia collector to purchase Dave’s book for these images alone. However, as the reader traverses through the uneven flow of these pages, he/she will come upon many new images not published previously except in his own editions. In addition, one can’t help but chuckle at some of the fantasy in the form of poems, psychic contacts with meeting Lizzie, and particularly “Lizzie’s New Hat”, all the more solidifying the fact this is like no other Lizzie book and stands as an “Anomaly of Audacity” to put a twisted contemporary pun on it. David Rehak has done us all a favor, regardless of the factual accuracy and lack of scholarly research and citations. He has given us a marvelous compendium representative of the orbit that spins around our Miss Lizzie, and he’s done it with originality, good humor, and a fast track ride wholly entertaining and worthy of our attention. I wrote about this new edition coming out in a previous blog entry of mine whereby I explained the facts of why a second edition was “rushed to print.” This third edition has corrected the abysmal editing errors that were an unfortunate result. You can read why this happened at my blog. If you have the first edition – hold on to that baby – it’s value just soared! And having a collection of all 3 is what the true Borden collector aspires. So if you are a collector, you’ll want this book and Dave’s two previous issues. Note: Click “Comments” below this entry for comment by Justin Bridges. If you have especially clear images of Lizzie he can use, please email me. Thanks! The next best thing to finding a new photo of Lizzie is finding letters she had written. Well, readers, you are all in for a treat in the very near future. Some months ago, my friend and author David Rehak brought to my attention a letter never before seen or published written by Lizzie. Since he was working on a re-write of his book Did Lizzie Borden Axe For It?, I encouraged him to include the letter in his new edition. The provenance has been established and I myself have been in contact with those who factor in the “trail of possession”. I have also carefully scrutinized my copy of this letter and there is no doubt in my mind it is written by Lizzie. Additionally, two other Lizzie experts have confirmed that it is, indeed, written by Lizzie. Not wanting to spoil it for Dave and its premiere appearance, I will only say it was written by Lizzie three months after the sinking of the Titanic. Rehak’s book was initially published and distributed twice. The first release was subsequently withdrawn due to the paranoic and elitist posturing of a certain Lizzie scholar who threatened suit to the publisher and author because her name and website had been mentioned without her approval – something clearly misunderstood by Dave. The threat of litigation came after the book had been purchased by book dealers all over the country (and outside the U.S.) and sold to Lizzie buffs. So those that do have the first release have a very valuable book indeed. Quite rare. The second release was issued with a number of editing disasters due to the rush to get it back in print. Dave has worked hard to correct those mistakes, eliminating gratuitous and unnecessary content, and adding more images and information in this new edition with the Lizzie letter. So be watching for Dave’s new edition in the early part of 2008. Hi Phaye!! Happy New Year to you! I enjoy reading about Lizzie, not sure why…..guess it’s the psychology thing. Anyway, have a happy , healthy 2008. Secondly (and the primary reason I’m writing), I am in DESPERATE need of a decent quality Lizzie picture! You see, I am a non-traditional (read as OLD) undergraduate student majoring in Cultural Anthropology. I am currently in the process of writing my Departmental Honors Thesis, focusing exclusively on the Borden case and how it serves as a prime example of the American social class structure in the late-19th century. ANYWAY, in addition to the paper I also have to do a poster presentation… and I am in DESPERATE need of a scanned, CLEAR, large-format photograph of Lizzie for the poster. 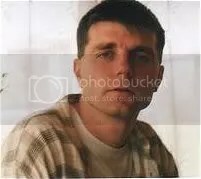 I need to blow the image up to at least 16×20, and I have been unable to find any images online of good enough quality to do such an enlargement. Do you have any suggestions on where I could find such an image? I have MANY Borden-themed books in my personal library, but unfortunately none of them contain clear pictures of Lizzie suitable for enlargement. If you could please point me in a direction concerning where I might find such an image I would be forever in your debt!!! Thank you SO MUCH in advance, and have a wonderful day! I found a charcoal portrait in an Antique Shop in Chelsea Ma. 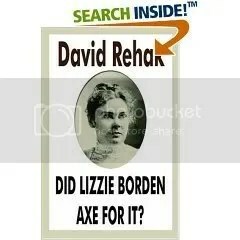 I believe it to be of Lizzie Borden. Examining the frame and canvas. I believe it to be from the 1800’s. I would value other opinions.